A. When will you go? B. How will you get there? C. Where will you stay? D. What pass should I get? E. How Much Planning Do You Want To Do? Part 3 – Dining Plan? B. Why Should I Use Fastpass+? There are a lot of different ways to do dining at Disney. 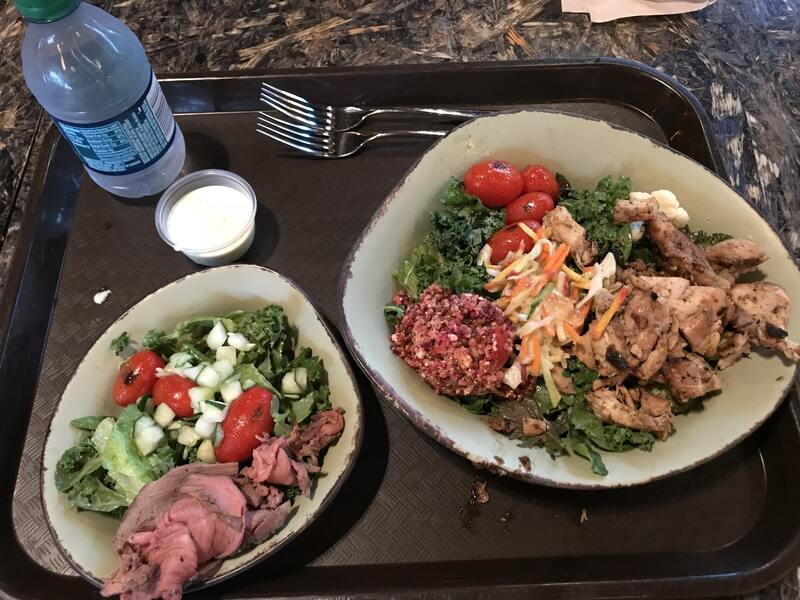 If you plan to eat at a lot of table-service meals (including character meals), then the Disney dining plan is your best bet. It isn’t the cheapest option, but it will give you a great dining experience and it’s the best choice if that is how you plan to dine. If you want to spend as low as you can on food, then paying out of pocket and eating at quick-service meals will be your best choice, unless you decide to pack your own meals. I don’t really like to pack meals on vacation since being on vacation for me means getting a bit of a break on meal preparation, but sometimes I do want to make sure we save as much as possible. On this last trip, my daughter and I just paid out of pocket for our meals. We did mostly quick-service and a few table-service, but still did pretty good on the spending based on the choice of meals. If you do not like large portions, then quick-service allows you to order smaller portions by choosing the kid’s meal option. I would often order two kid’s meals and it was more than enough food for the both of us. The kid’s menu sometimes has a more limited choice, but don’t be afraid to ask if they can take something on the adult menu and give it to you in a kid’s size. I did that a few times at the Pop Century food court and they were able to accommodate us. The other plus of ordering off the kid’s menu is that you get a drink included with the lower cost, so you save on having to buy an additional beverage. At our hotel food court we chose the pot roast meal and the turkey dinner meal. These options were both on the adult’s menu, but we asked for it in kid’s size because the adult meals would be too much food for us. Each meal came with two sides, we chose mashed potatoes and green beans. We also had two small water bottles included. We thoroughly enjoyed this meal, felt like a home cooked dinner and the total cost of our meal that night was $15.75. Pretty cheap dinner for two! On one of our evening’s in the World Showcase at Epcot, we decided to head over to eat at the quick-service restaurant in China. Again, we ordered two kid’s meals and even threw in an extra appetizer as a bonus. For this meal we both chose the Sweet-and-Sour Chicken. The meal comes with the chicken, rice, some carrots, an applesauce and a drink. We also ordered one portion of the potsticker appetizers to share. The meals would of cost us under $20, but because we added on an appetizer, the total for this meal came to $22.53. Tiffins is a signature restaurant at Animal Kingdom, which means it will cost you a lot to eat there. Want to still get a taste of it at a lower price? 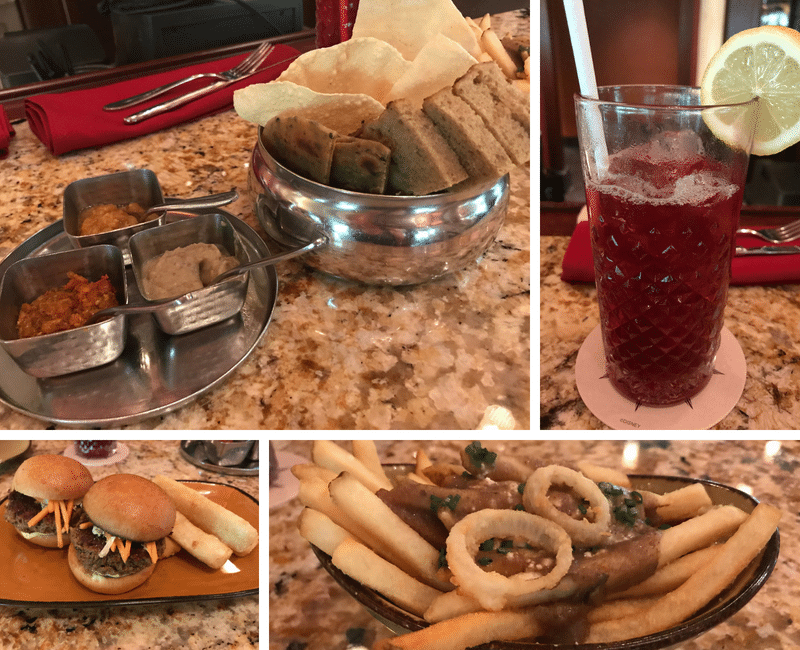 Stop in to the Tiffins Nomad Lounge, where you don’t need a reservation and they have a selection of choices tapas style. It is first come, first served, so you just seat yourself. There weren’t any tables left when we got there, so we just sat at the bar. We ordered two non-alcoholic drinks called the Balinese Breeze, which was a good fruity drink. For our tapas, we selected the bread service, veggie sliders and the truffle poutine. We enjoyed all of it except for the poutine. We were thrown off a bit by the type of cheese they used, so they actually took it off our bill for us when we said we didn’t like it very much. The total bill for the 2 drinks and 2 tapas came to $38.34, which is a lot cheaper than what it would of cost to eat at Tiffins. Satuli Canteen is one of our favourite quick-service restaurants at Disney so we always make a point to stop here. This time we ordered an adult and a kid’s meal since I find the adult meal to be a good sized portion – not too big, not too small. I had a chicken satuli bowl with a salad base and creamy herb dressing. My daughter selected the beef satuli bowl for kid’s with the greens and hers came with a beverage. The total for this meal came to $20.22. Be Our Guest at the Magic Kingdom is the most popular restaurant at Disney and it can be really hard to get a reservation. It is also the only restaurant where you need a reservation for their quick-service times. For breakfast and lunch, it is considered a quick-service, while at dinner it is a signature table-service with a prix fix menu. It can be costly at dinner, so the economical way to do it is to either dine there at breakfast or lunch. We did lunch because the breakfast menu did not really appeal to us. We also ordered our meals online prior to our arrival which I realized gets you in to a shorter line. Those that had to order when they arrived were placed in to a much longer line, so order your food online for quicker service. My daughter had the grilled cheese & turkey noodle soup from the kid’s menu. It came with a beverage and a chocolate chip cookie. I had the braised pork from the adult menu. It came with mashed potatoes and green beans. The portion was more food than I could finish, there was a lot of meat, but in all the meal was very good. This meal cost us $27.14. One day for lunch we headed over to the Contemporary before our day at the Magic Kingdom since it is just a 5 minute walk away. We went to their quick-service dining location called Contemporary Café. I also brought along my refillable mug and was able to use it for my beverage at their beverage station since they are good at any Disney resort. I had the adult sized power greens salad and my daughter had the kid’s turkey pasta marinara. Her meal also came with a small beverage. We both enjoyed our meals, however the salad is very light and may not be very filling for everyone. The total for this meal came to $17.34. This was our only full table-service restaurant that we ate at during our trip, but I wanted to include it because I thought the price was pretty reasonable. Not to mention that it is a super cute restaurant in one of Disney’s beautiful deluxe hotels, so it is worth the visit. They also have amazing desserts at this place, so if you have a sweet tooth, you’ll love this place! We each had a chicken sandwich which came with a side of watermelon, but mine was off of the adult’s menu, while my daughter ordered off the kid’s menu. We also ordered a chocolate milkshake to share, which I have to say was delicious! I would go there again just for that milkshake. The chicken sandwiches were really good and I would recommend them. This meal came to $31.68, but since I am an annual passholder, I was able to get a 10% discount on that meal. We stayed at Disney for a total of 9 nights and our total food cost came to $550, $100 of which was just for snacks. I think we did pretty good for the week. The amount we spent was less than the quick-service dining plan. Had we planned to do table-service meals every day though, I think I would of opted for the Disney dining plan. 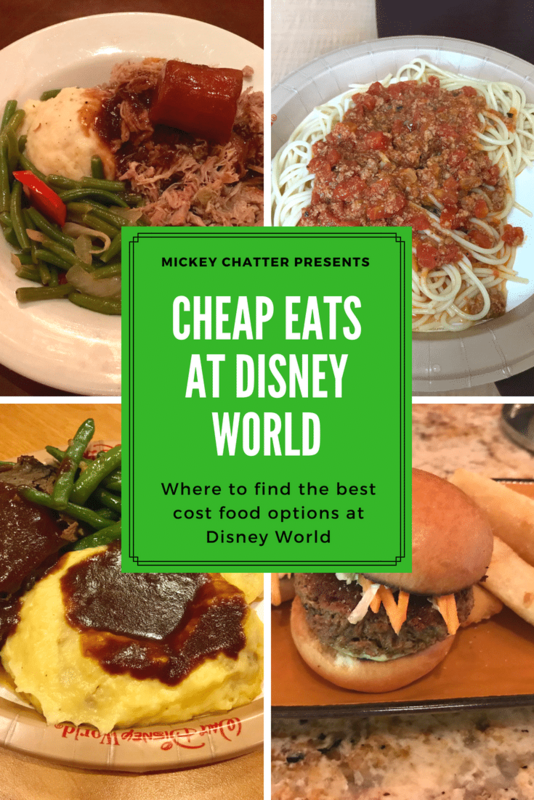 How do you like to dine at Disney – dining plan or pay out of pocket? 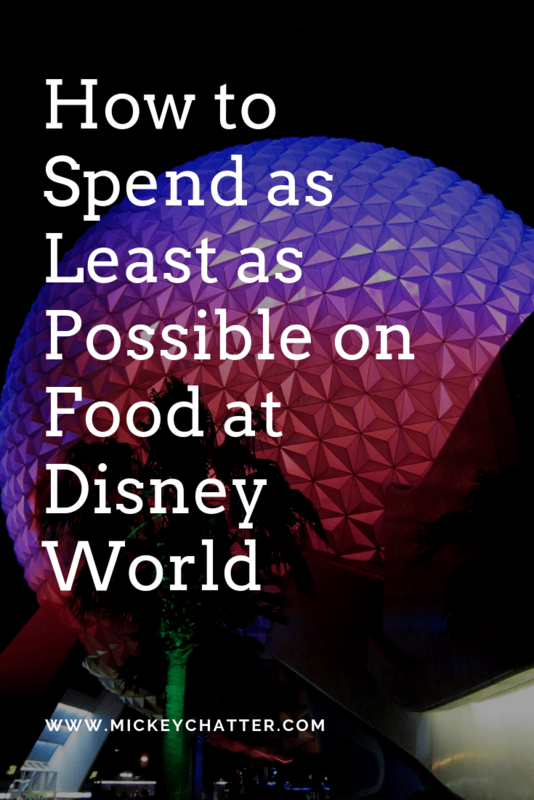 Also, what are your best food saving options while at Disney? Tell us in the comments below! DeluxeModerateValueDeluxe Villa ResortsI need help choosing! Laura is a mom of one adorable girl with a love of all things Disney. She traveled to Disney World with her family in 2010 and was hooked. They have since been a total of over 10 times. With all her knowledge of planning Disney trips, she now wants to share that with others. She loves giving guidance, tips and advice to others planning their magical vacation! Is Disney’s Memory Maker Worth It? This website does contain affiliate links, which will provide me with commissions should you choose to purchase a product/service that I recommend. This is at no extra cost to you and I only recommend links/sites that I trust and/or personally use myself. This site is not affiliated with, maintained by, endorsed by, sponsored by, or in any way officially connected with the Walt Disney World Company, Theme Park, or any of its affiliates or subsidiaries. Disney’s Official Website is located at www.disneyworld.disney.go.com.